A guest review today from Who Killed Nancy Johnson? vocalist/bassist Stefan Ball (https://wknancyj.bandcamp.com/). ">www.ironlungpv.bandcamp.com/album/fat-skeleton-7-lungs-130. 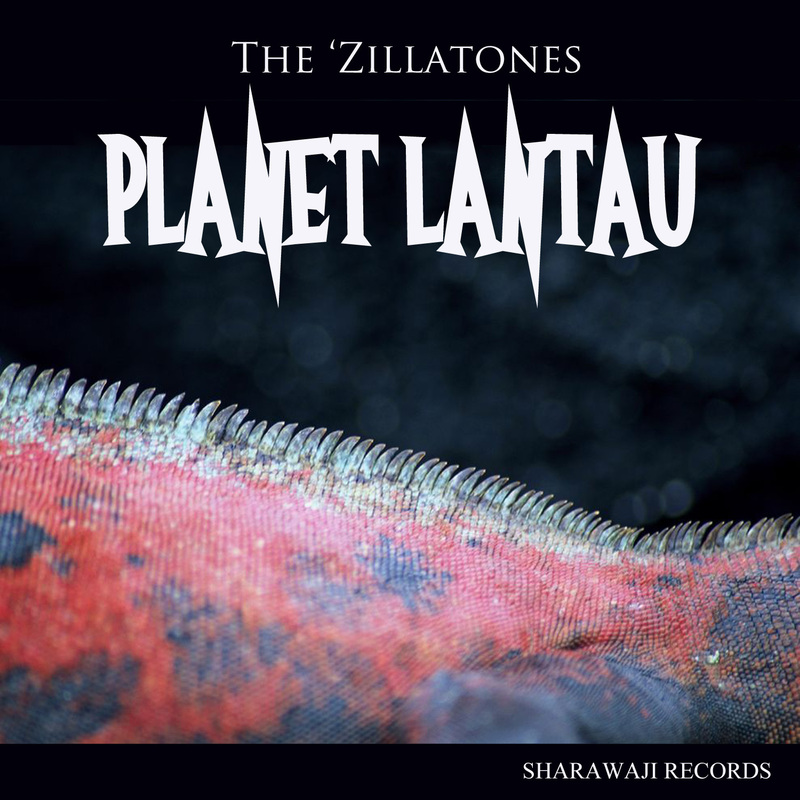 US$2 digital album; 7" vinyl (LUNGS-130) US$8 plus post and packing. 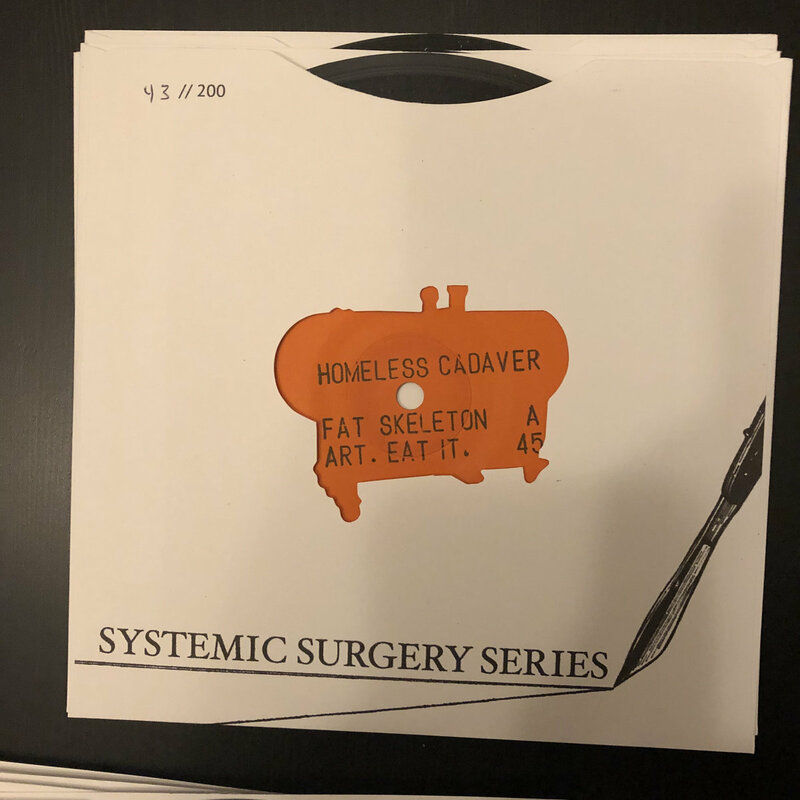 The vinyl version is second of five releases in Iron Lung's Systemic Surgery series, each numbered and limited to 200, with hand-stamped labels on black vinyl housed in a custom die-cut sleeve with a risograph print hand-glued to the front. A homeless cadaver is a body found in the street that has no history or back-story. It's a perfect name for a band whose lack of internet presence is so total that it has to be deliberate. Homeless Cadaver only seems to exist through this seven-inch single released by Iron Lung Records: "Fat Skeleton", c/w "Art. Eat It." So all I can talk about is the song. "Fat Skeleton" is a brilliantly slick, sick and physical recording. It's full of taste and pungent smells. There's a gruesomely juicy lyric - "slightly dead, wrapped in rags, best damn meal I ever had" - served on a solid base of guitar. Drums pound like a hangover. A wonderfully oily bit of keyboard drops in and out, playing octaves, and the band drizzles some random electronic squiggles plumb in the middle - not so much a solo - more like garnish. I like strong flavours, personally. "Fat Skeleton" is like overripe cheese or overly-matured meat, just the right side of rotten. It's unhealthy and rich and totally unsuitable for veganuary. I won't get the smell off my fingers for quite a while.